All Clear Extra is a highly effective liquid cleaner to use after application of any amenity chemicals. 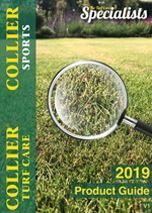 Purchase through Collier Turf Care for a great value price! NoMix Universal Cleaner is designed specifically for cleaning the NoMix CDA 700 compact lance. A ready-to-use and safe method of avoiding blockages.